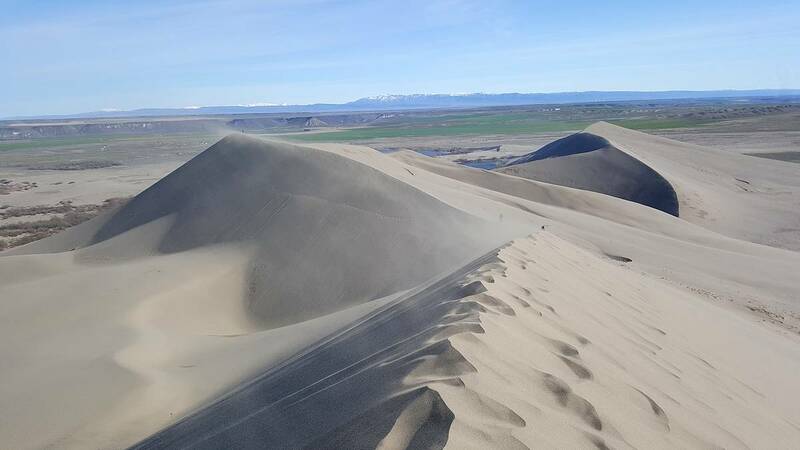 Southern Idaho’s Bruneau Dunes State Park is home to the tallest free-standing sand dunes in North America. 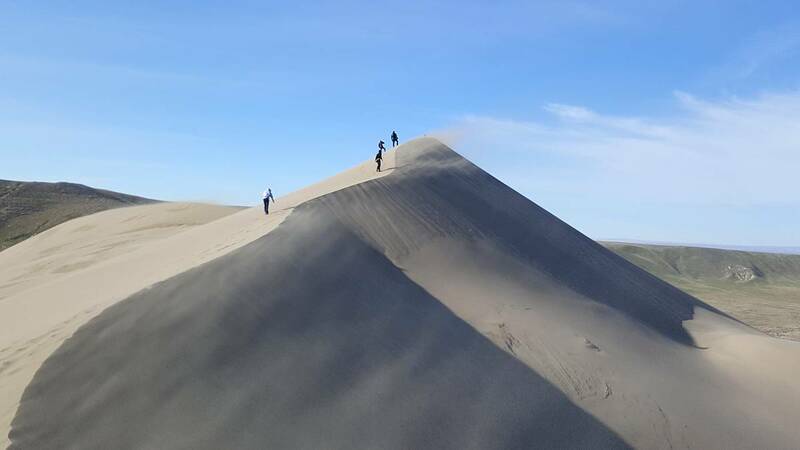 (There are taller dunes in Colorado, but apparently those are multi-tier.) 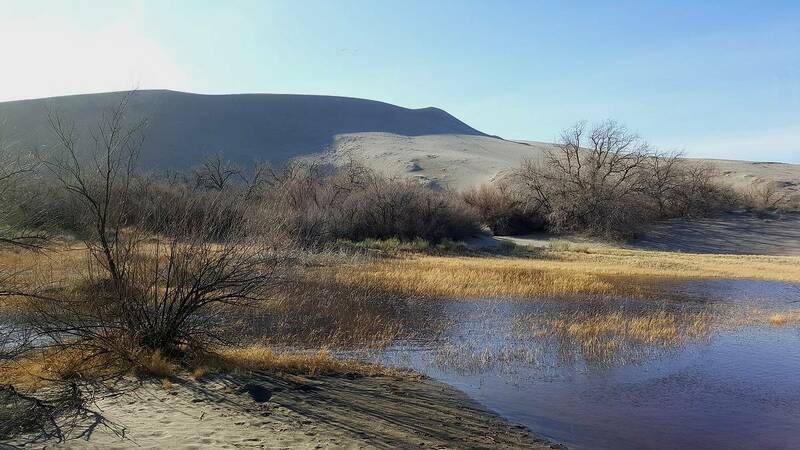 The dunes are in a basin. That, along with balanced wind coming from multiple directions, helps keep the dunes pretty well contained. This is a favorite area for families to come and play, and for Boy Scout troops as it turns out. My son and I came over with his scout troop Friday evening and got one of the last sites in the campground. 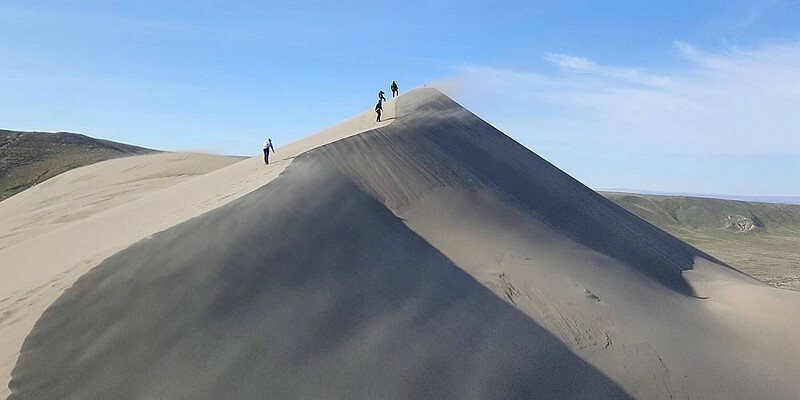 The boys enjoyed the camping experience, and the next morning, we drove to the end of the road, and set out to climb to the top of the Big Dune. Several of the boys had climbed it previously, so they led the way up. It was super windy, which added to the adventure. 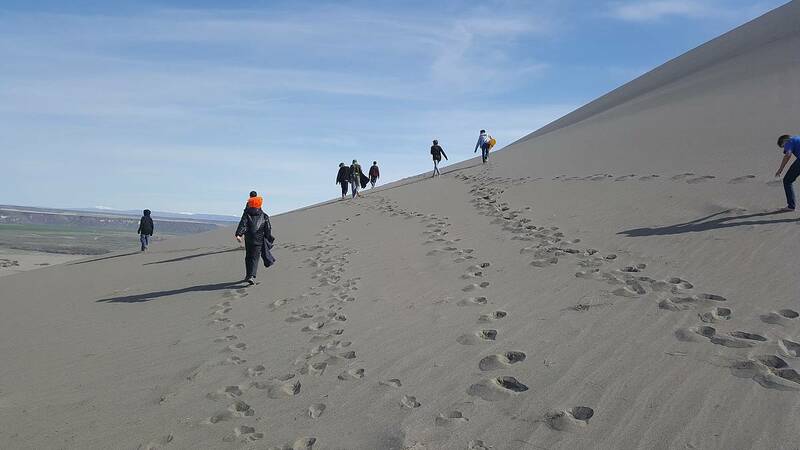 We approached the dune from the northwest, and the slope got pretty steep as we neared the ridge. As we crested, the wind was fierce and blew sand in our eyes, noses, and mouths. But once we were above, it wasn’t quite as bad. With most of the climbing behind us, it was just a matter of keeping our balance as we walked over to the highpoint. 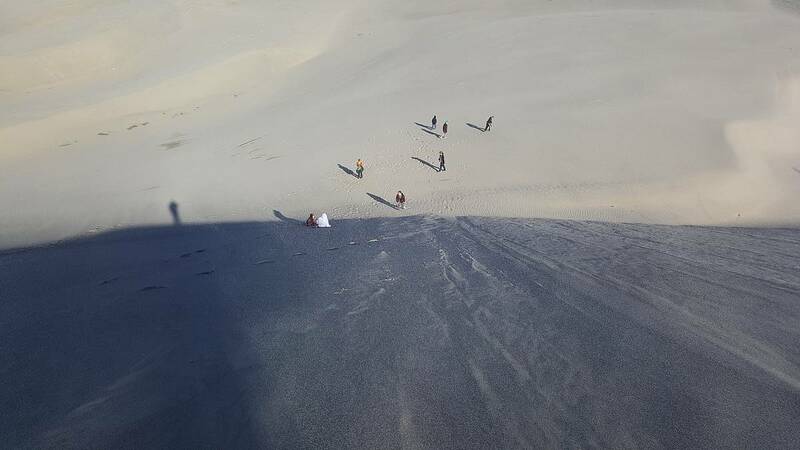 From the top, the wind blowing all the sand around gave us an appreciation for how the dunes formed. 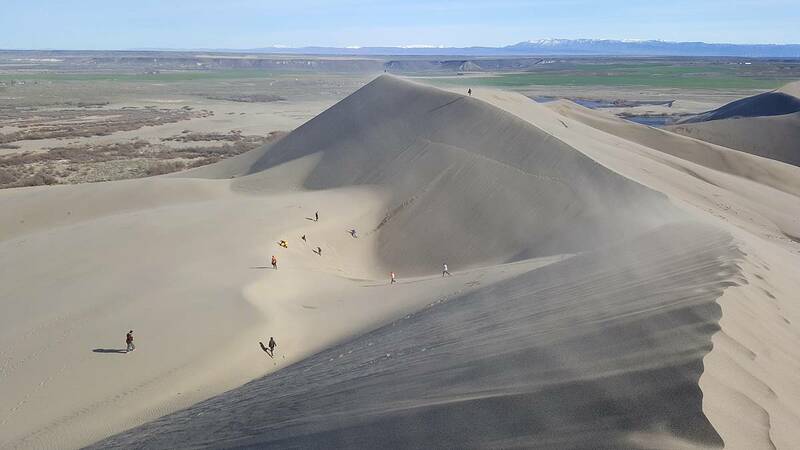 After a little while, we made a quick decent down the steep face of the big dune. Once down below, we were protected from the wind, and the boys found a depression to play in. Much digging and sliding was had by all. When it was time to go, we had a hard time getting them to leave. I guess that means the trip was a success! 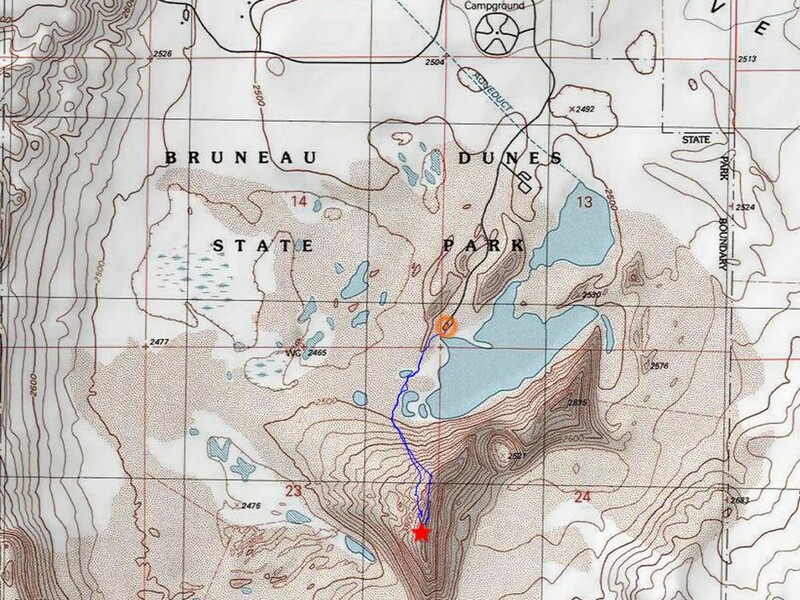 Map of our route, about 2 miles and 500' gain round trip. 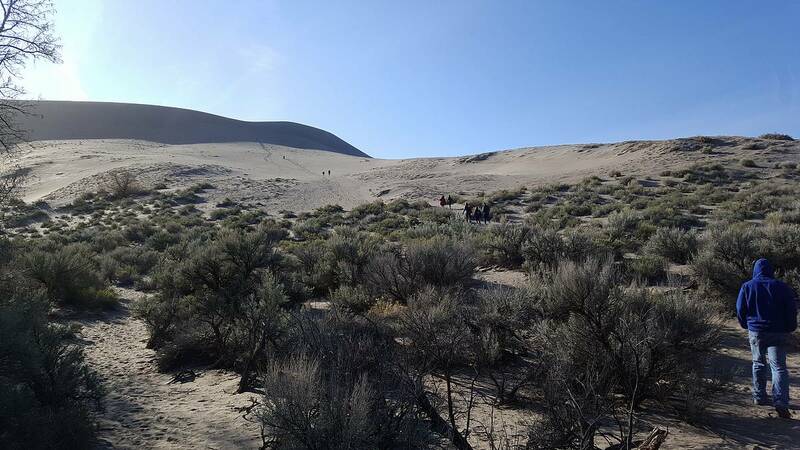 View of Big Dune from the start of the hike. On the summit ridge, pretty windy. We took the fast way down. This bowl was a fun play area.